It’s pretty much common to get Error notifications and you might quite used to it if you are a WordPress user as several technical aspects get involved. And among many 403 Forbidden Error in WordPress is one of them. And for any new WordPress user, it’s quite difficult to understand the issue and able to realize how they could fix 403 forbidden error in WordPress at all. 1 What is 403 Forbidden Error at all? 3.1 Solution: Deactivate the plugin from your FTP server. 3.4 Find words on solving 403 forbidden error in WordPress. What is 403 Forbidden Error at all? Being a wonderful CMS like WordPress, you should be up and ready for such scenarios, as there are always some tweaks available to rectify the errors. Most of the time a user thinks that it is the only server error, where they are hosting their website. It’s not always the case. 403 Forbidden Error could occur because of several reasons, lack of the proper permissions basically. It can happen while, Installing WordPress, Logging in into WordPress and also while browsing the pages of the website. Now though you know the scenarios when it happens it also good to understand why it happens. Aah, to being clear there are several reasons why it occurs! So we will try to troubleshoot this issue and get rid of threat annoying message 403 Forbidden in WordPress Access Denied. Does that make you confused, no idea at all? What the heck to do now? No worries at all we will walk you through the all possible solutions and troubleshoot this issue and get rid of that annoyed 403 forbidden error in WordPress. Now first things always first, Plugins might be the culprit and could be the most prior reason. As we talked about bad plugins or bad plugin configuration is one of the common reason why this error arrives. Probably a security plugin which has not been configured well, they tend to block your own IP. Lol, sounds funny, isn’t it? But yeah it does, your own IP or a set of IP’s. The 403 error can be caused by other plugins as well. It’s quite hard to determine. So we need to deactivate that plugin or all the plugins at the same time. Wondering how we could do so, as you can not even access your WordPress Dashboard. Before you start troubleshooting 403 Forbidden error in WordPress, we would recommend taking a complete backup of your website, just being on the safe side if something goes wrong. Solution: Deactivate the plugin from your FTP server. Now you can use Filezilla or any other third party software to access your server files. In fact, here we will go through the Cpanel which could be the most easier way for any new WordPress users. Login to your CPanel, through the login credentials, offered by your hosting provider. Once you’re logged in to your Cpanel, you would find several options there. And you need to find “File Manager” and click on it. This is the one destination where you could access all your website files. Find public_html there, and click on it. Here you would be able to find lots of folders along with many files associated with your WordPress website. Once you do so all the plugins installed on your WordPress website will be deactivated. Though apart from renaming the plugins folder there are few other ways to deactivate plugins while not able to access the WP dashboard. Now, once head over to the WordPress Login page reload it, and most probably you can get rid of the 403 forbidden error as plugins are the primary factor. And if in case this doesn’t work solving the issue, let’s move towards the next steps. This method can be used if you have access to your WordPress Dashboard. But even after deactivating all plugin the error lies right here. A corrupt .htaccess file can also cause this error. So in order to fix this up get access your WordPress site files again. public_html and then, you would be able to find a file named as .htaccess file and delete it. Yes, go on… don’t get scared, nothing will happen we can recreate the .htaccess file back again. Don’t make any changes, just hit the Save changes button. This will automatically re-create the .htaccess file for your website. Now as you have replaced the new .htaccess file with the corrupted one your web pages must be loading error-free. Even if this doesn’t solve the issue, we need to move towards the last and final method to troubleshoot 403 forbidden error completely. And as a said final method, this will solve the issue, if it hasn’t tried the above ones. At times it happens, when things are not configured well and you lose the permission of a respective file. As all the files of your WordPress website used to have particular access to the users. So, when the server realizes that a user doesn’t have the permission of the files, it fails to load and throws up an error server not responding to 403 forbidden error Access denied. There are many folks, who don’t want to change such things in the core WordPress database, as it could be a little tricky, you can take help of your hosting provider just in case. But, I would be recommended step in and be fixing it yourself, it could be a learning curve. This time, you need to find a folder wp_admin and right click on it and select Change Permission from it. This will open up a dialog box showing all the typical options showing out the permission for that folder. Here the formula is pretty much simple, all the folder on the directory should contain 755 or 740 permissions and files should contain 640 or 644 permissions. Being respective to the wp-admin folder, we could already see in the above image. 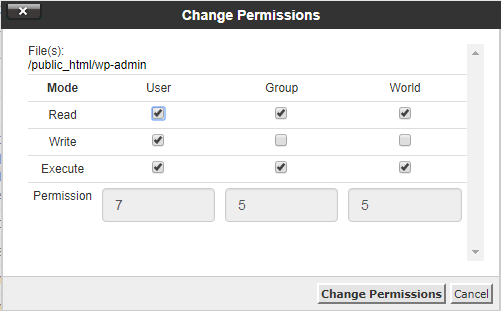 If it’s not there in your database, change it to 755 and click on Change Permissions button. This will solve the 403 forbidden error completely. Find words on solving 403 forbidden error in WordPress. We all know, errors irritate but there is always some workarounds or fixes to it. Though this error didn’t pop up because of the hosting provider, it’s always good to choose a proper Hosting provider for your WordPress Website. 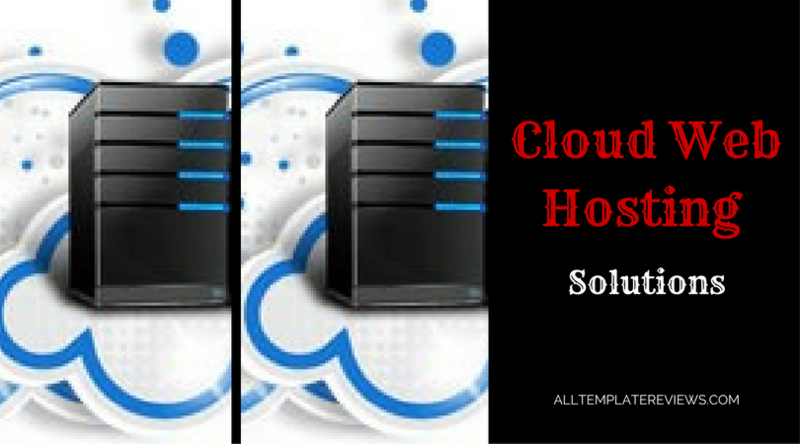 SiteGround, A2 Hosting and 000webhost are the recommended ones. Here is a great post on a 000webhost blog on how to fix 403 error in WP”. I am sure this solved the issue and you are able to access your WordPress website. Do share which troubleshooting process fixed your error and in what circumstances in the comments below.